A slice of warm, buttered toast can really hit the spot at breakfast. Although toasting bread doesn't have a large effect on the amount of essential nutrients in the bread, it does cause some chemical changes that affect how healthy the bread is. Lightly toasted bread is a better choice than darker toast. Toast has slightly less of certain B vitamins than bread. A slice of whole-grain bread has 5 percent of the daily value for folate and thiamine, while the same bread toasted has only 4 percent of the DV for these nutrients. Toasting bread also increases the content of a chemical called acrylamide, which has been linked to cancer, according to the American Cancer Society, with longer toasting times causing a greater increase than shorter toasting times. 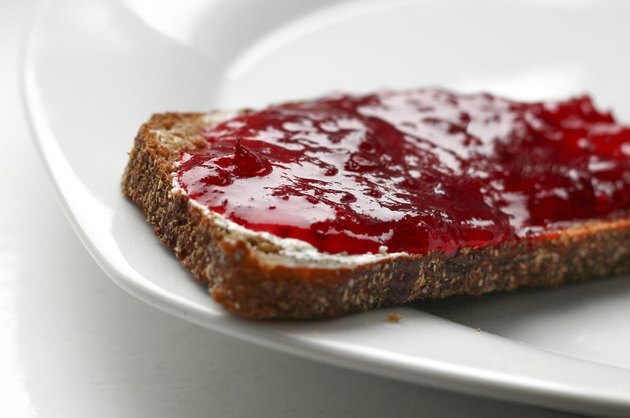 People with diabetes may be better off eating toasted bread than plain bread. A study published in the "European Journal of Clinical Nutrition" in May 2008 found that toasting bread lowers the glycemic index. The glycemic index estimates the effect of a food on your blood sugar levels, with foods lower on the glycemic index being less likely to cause spikes in your blood sugar levels than those that are higher on the glycemic index.